I love sharing how being vegan isn’t just about what you eat. It’s about the lifestyle and it comes down to making conscious decisions in every part of your life. That means looking at what you eat but also things like the ingredients that are in your cosmetics, the material that your clothes are made out of, where everything is sourced, etc. One of the biggest challenges of living in a cold climate, like Calgary, is finding a winter jacket that is warm and checks all of the boxes. Most winter jackets are filled with animal down or have a fur lining on the hood. This is why I am beyond excited to have found the best winter jacket that checks every single box, the Wuxly Movement Vegan Doe Parka. 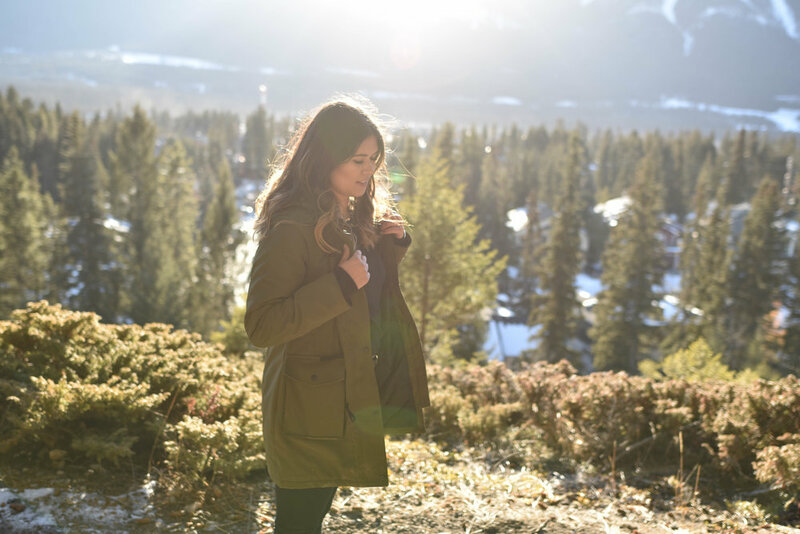 I’ve tested the Wuxly Movement Vegan Doe Parka for the last two weeks and it has been perfect. It’s functional, warm, looks great with all my outfits and has the best pockets. I hate carrying things so pockets are very important to me. There are large buttoned pockets on the front where I keep my phone and wallet and then lined pockets on the side to keep your hands warm! There are so many thoughtful details on this jacket, including two straps on the inside so that you can carry it around without having to put the actual jacket on. Perfect for those days when you’re going on a big Costco run and with hundreds of other people and it gets hot and overwhelming. I also love that there is an adjustable cord on the inside at the waist and the hood so you can give the jacket it a more fitted look. 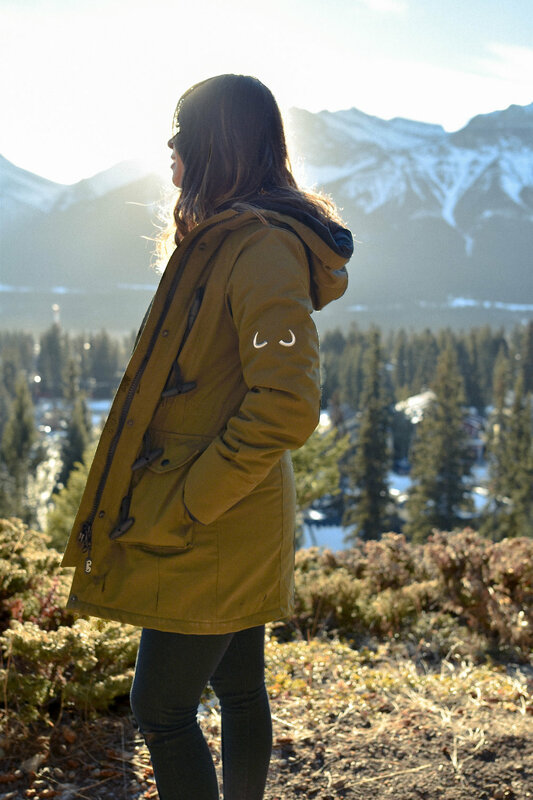 My favourite part of the Wuxly Movement Vegan Doe Parka is that it’s vegan, cruelty-free, ethical, sustainable AND designed and made in Canada. Their VeganTech shells are from a 100-year old company in Montréal! So cool. The fabrics they use outperform fur and down and the Doe Parka is recommended for temperatures +8 to -30°C. And just to add to all the other reason Wuxly Movement is amazing, they also offer a 5-year guarantee on their jackets! I hope you enjoyed reading about my new favourite and in my opinion, the best vegan jacket on the market right now.